Chris began his career with Chelsea in 1978, playing at Stamford Bridge at the same time as future teammate Eamonn Bannon, but left the London club without playing a league match in March 1981 to sign for Fourth Division side Bournemouth. The Cherries won promotion to the Third Division and won the 1984 Football League Trophy during Sulley's six seasons there. 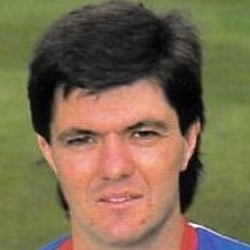 In June 1986 Jim McLean brought the left-back to Tannadice, but it wasn't until September that he made his competitive debut, in the UEFA Cup first round tie away to RC Lens. He was in the side occasionally over the next three months, but after a spell in the reserves, he went to Blackburn Rovers, initially on a one-month loan but he then signed for them and stayed there for the next five years. In the latter stages of his career, Chris played for Port Vale and Preston North End before retiring in 1994. After coaching at Preston and Blackburn, he joined Bolton Wanderers as a youth coach in 2000. Chris was born on this date in Camberwell, England. 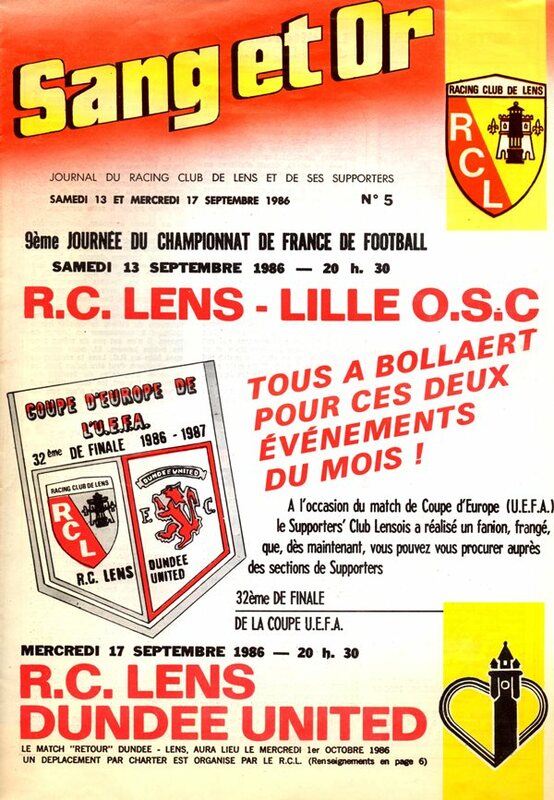 Defeat in Lens, our first of the season, was at least not irreversible in view of tonight’s second leg. The first half failings we have experienced so much this season were again in evidence as the French side dominated rather than controlled. Our first visit to Brockville on Premier business will certainly not kindle fond memories. On top of a European tie in midweek we were deprived of the services of Maurice Malpas, Eamonn Bannon and Kevin Gallacher, enforcing five changes in personnel. Falkirk who played from the outset at a frantic pace took an early lead when a cross landed at McGivern's feet in space and the former youth international wheeled to sweep the ball past Billy Thomson. From here on until the interval the majority of the action was confined to Falkirk's half but apart from a succession of corners only Iain Ferguson and Gary McGinnls managed to get shots in on goal, but both were marginally off target.